Photos from our LP Release Show at the Metro and the Gapers Block Holiday Party with Archie Powell & the Exports, The Kickback and Pop Goes the Evil. Thanks to Dan Jarvis, Martin Happ, Mike Grimes, Bob’s Uncle and Jim Vondruska for all the great photos. Happy New Year, see you in 2015. 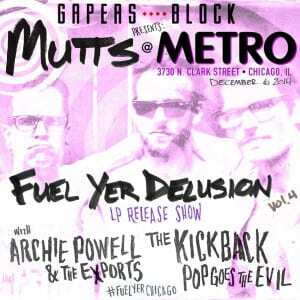 Thank you to everyone at the Metro in Chicago on December 6 to help us celebrate Fuel Yer Delusion vol 4. You were beautiful – your shouts, your smiles, your singing. It felt incredible and was a fitting close to this year. Check yourselves out singing along here. Special thanks to Archie Powell & the Exports, The Kickback & Pop Goes the Evil for making it a real party from start to finish. Here’s a video of them joining us onstage again for the finale. And extra special thanks to Gapers Block for throwing the party, as well as Midwest Action for this review and photography. Finally – we have just a few of the limited edition Jay Ryan screen prints available for sale here. Announcing our LP Release Party for Fuel Yer Delusion vol. 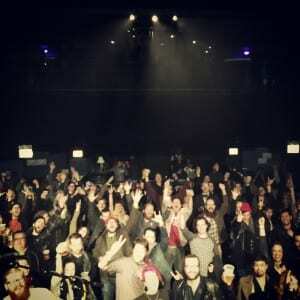 4, presented by Gapers Block at the legendary Metro in Chicago! With Archie Powell & The Exports, The Kickback and Pop Goes the Evil (Cincinnati). Pre-order the album and get two tracks here! And watch the video for the first single – Everyone is Everyone (parental advisory, explicit lyrics). 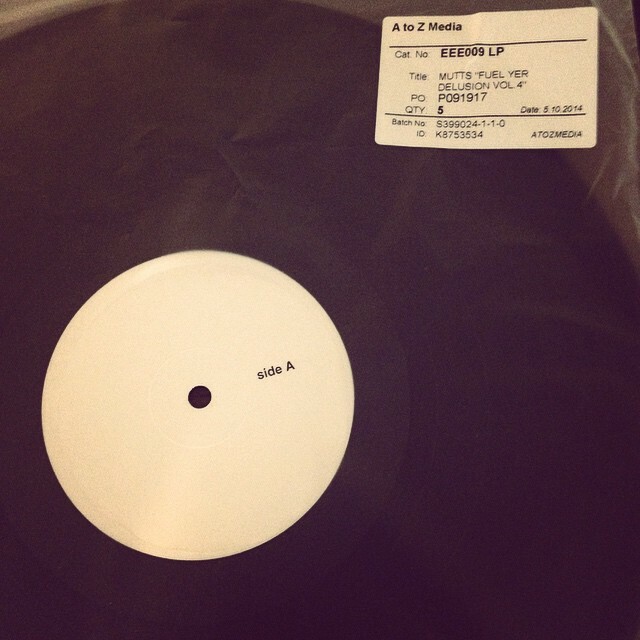 Who wants this test pressing of the new Mutts LP?! When making vinyl records, the pressing plant sends five tests to make sure that everything sounds good before going ahead with the entire production. It sounds fantastic! We’re each keeping one, producer/engineer Dan Smart gets one, so this one is up for grabs. This is the one and only extra test pressing. 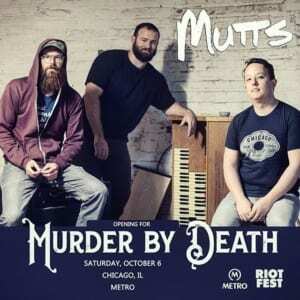 Click here to pre-order your ticket to our 12/6 album release show at Metro, and you’ll be entered in a drawing to win it!